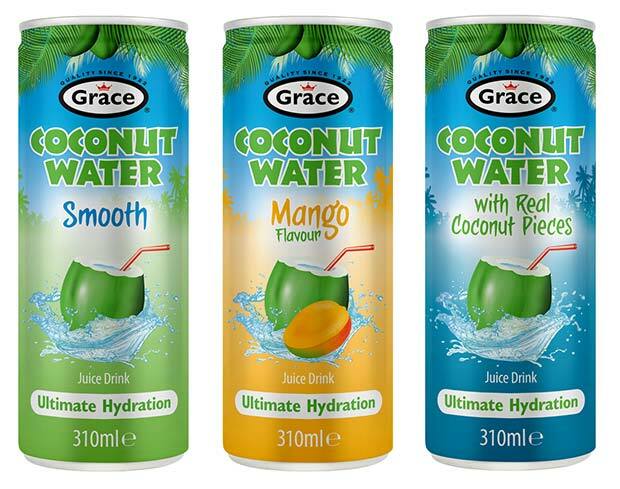 Grace Foods UK is building on its position as the UK’s leading supplier of Caribbean food and drink* with the launch of a new slim can Coconut Water range. 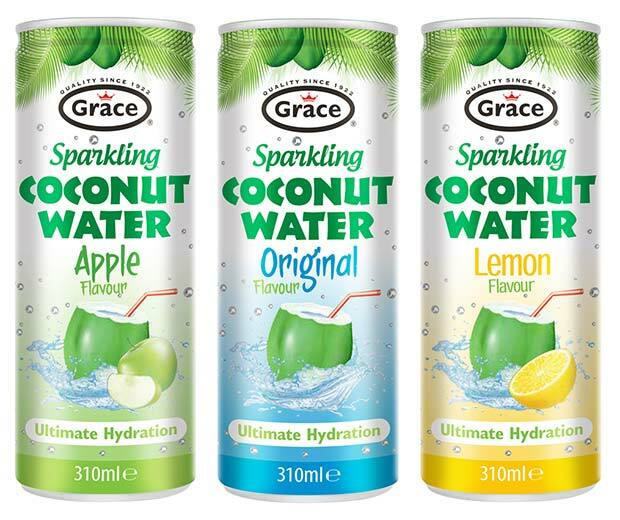 The range of three refreshing Coconut Water flavours will be available in 310ml cans, and will also be joined by a new Sparkling Coconut Water range which is also available in slim cans. The new sparkling range is available in three delicious thirst quenching flavours – Original, Apple and Lemon. 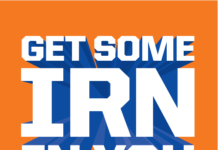 “The coconut water market is growing fast and shows no sign of slowing with NPD playing a pivotal role in that growth. 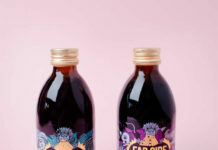 Shoppers are increasingly looking for alternatives to sugar-sweetened soft drinks but can find water tasteless and boring. Grace Coconut Water is perfectly positioned to tap into this opportunity. 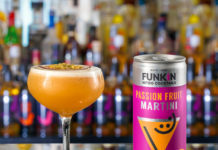 With just 75 calories per can and no added sugar, the range is made using only natural flavours and colours with real fruit juices and no preservatives, providing shoppers with the ultimate hydration. Retailers interested in stocking the range can find out more at www.gracefoods.co.uk or by phoning 01707 326 555.